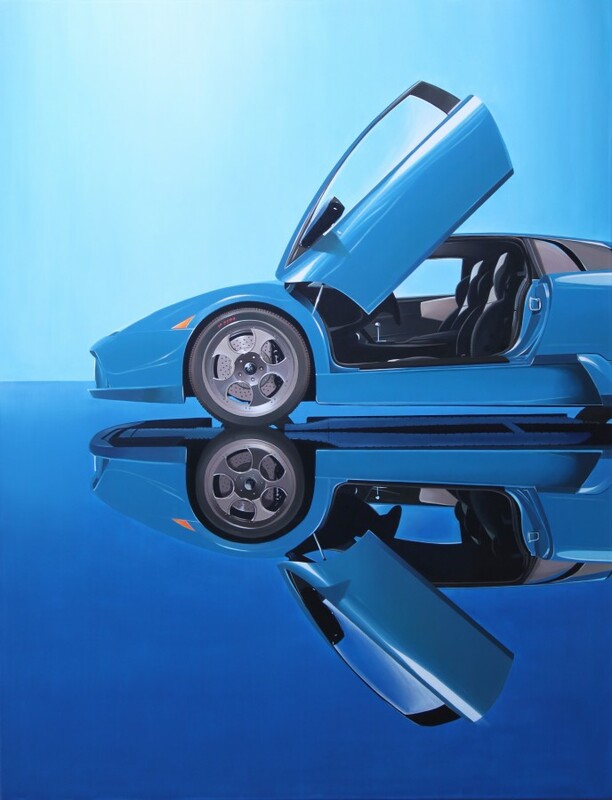 Plus One Gallery is hosting a hyperrealist group art exhibition all about cars and motors to tie in with the Royal Hospital Chelsea’s event AutoLegends. 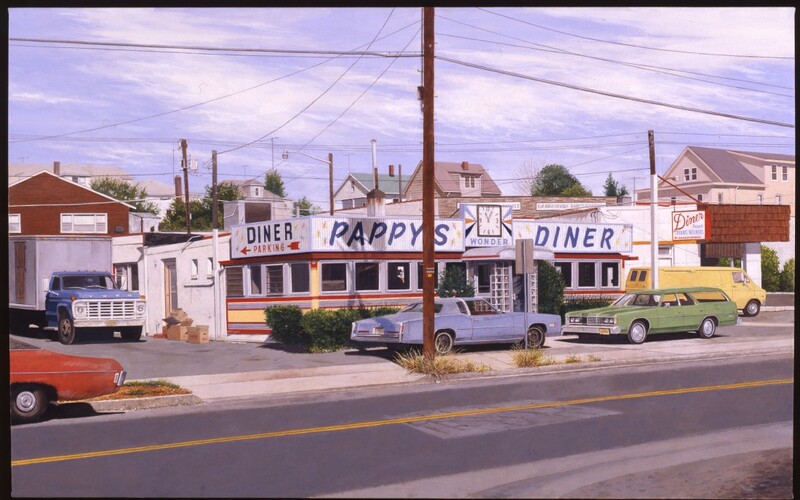 While all the artists taking part share subject matter and the exacting standards of work which characterise hyperrealism, they each offer something different in artistic point of view and technique. This is no better illustrated than by comparing John Salt and his derelict vintage cars, based on the hazy quality of an old school camera, versus Andrew Holmes in whom we have an example of where hyperrealism merges into the abstract in his precise close ups of shiny engine details coupled with the rich and complex reflections seen in metallic truck tanks. 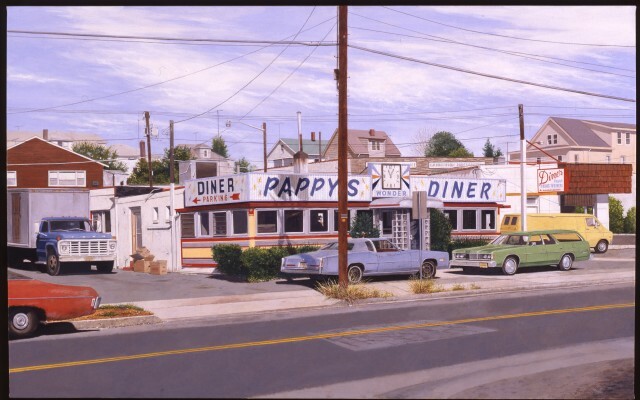 In either case we are talking automobiles, and for many of the participating artists in Plus One Gallery’s auto show there is a healthy dose of Americana prefixing their approach and giving context to the scene. This is no more evident than in the toy cars nestled and posed between Disney characters as in the case of Cesar Santander’s paintings or by contrast those of Simon Harling where you might find a vintage car parked in front of a baseball batting field or a lonely gas station on the American plains. 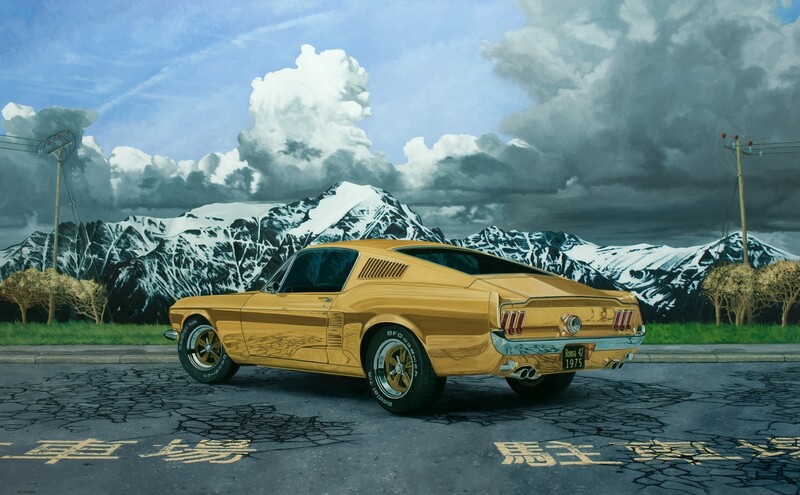 To see cars set in cities comes as no surprise, but an equally common backdrop is a moody and melancholic landscape where the car is not just a car but serves as a point of perspective, providing depth to the painting by way of its relative size. For vehicles typically associated with much power and speed, there is an almost eerie calm surrounding the cars in these paintings, allowing the elegance and nostalgia of the vintage car to quietly find its way to your consciousness.